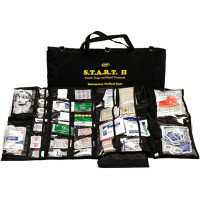 Our Medical Emergency First Responder Gear includes the largest selection of First Responder Emergency Kits, Emergency Response Bags, Trauma Kits and Emergency Medic response Packs ranging from 80 piece Jump Bags to Fully Stocked 303 Piece Professional Kits to 1000 Person Trauma Kits. 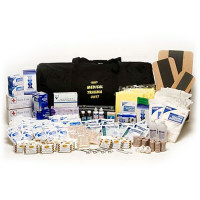 Whatever your medical emergency response needs, from workplace responder to wilderness medic - it's here. 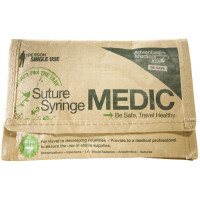 We even offer a Suture Syringe Medic Pack for extreme survival medic response needs! 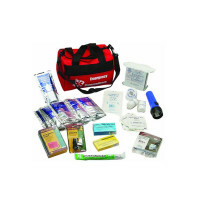 Looking for a special deal on Emergency Responder Equipment, First Responder Kits or Emergency First Aid Bags? 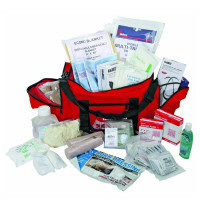 We have: first responder kits and first responder bags - From full first responder medical bags to basic workplace and community first responder kits. 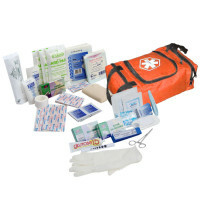 If you want a first responder medical kit check out this section or give us a call toll free to compare the differences in our many first responder first aid kits! 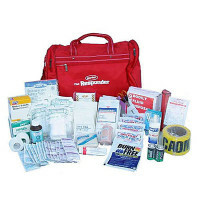 "Official" First Responders include fire, police and emergency medical personnel. 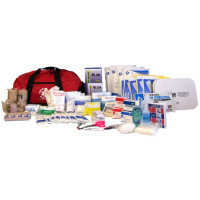 It is important that they have access to reliable, interoperable communications to assist those in need during emergencies. 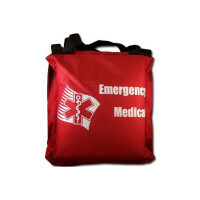 First REsponders are also sometimes referred to as "Emergency Medical Responders" or "Medical First Responders" but fulfill the same function no matter how you name them. 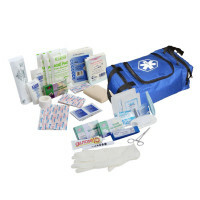 First Responders are well trained in FIrst Aid and EMergency Procedures and fill the gap responding to immediate need for injury treatment and lifesaving while awaiting advanced medical care. 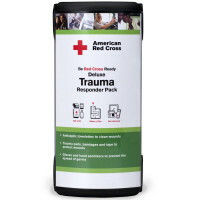 Even the Department of Homeland Security recognizes the extreme importance of these responders both layperson volunteer responders and professional - and supports their efforts through the DHS Science and Technology initiatives. 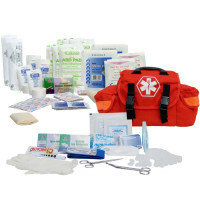 First responders who are well-prepared will have the peace of mind to focus on the task at hand, rather than worrying about whether their family is taken care of. 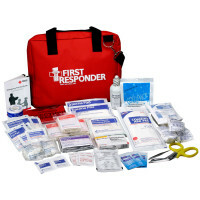 First responders can also serve as role models for other members of the community, leading by example to encourage preparedness. 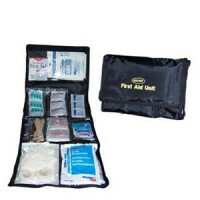 First Responder Equipment ranges from Medical Bags and devices, to Jump Kits and Trauma Packs. 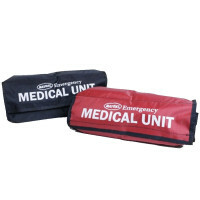 Medical Emergency Responders depend upon first responder products to help them provide immediate care for injuries. This First Responder Gear can include stethoscopes and Sphygmomanometers (BP cuffs) saline, glucose, and advanced First Aid Treatment items like burn care, wraps, bandages, unguents, tapes and more. 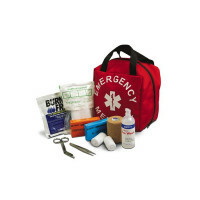 Emergency Management Agency (EMA): Organizations, both local and state, that coordinate preparation, recognition, response, and recovery for WMD and/or catastrophic incidents. 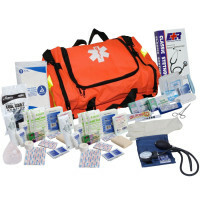 Emergency Medical Services (EMS): Individuals who, on a full-time, part-time, or voluntary basis, serve as first responders, emergency medical technicians (EMT) (basic), and paramedics (advanced) with ground-based and aero-medical services to provide pre-hospital care. 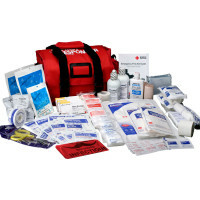 Fire Service (FS): Individuals who, on a full-time, part-time, or voluntary basis, provide life-safety services, including fire suppression, rescue, arson investigation, public education, and prevention. 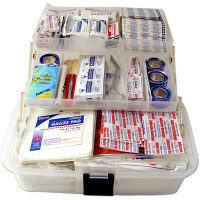 Governmental Administrative (GA): Elected and appointed officials responsible for public administration of community health and welfare during an incident. 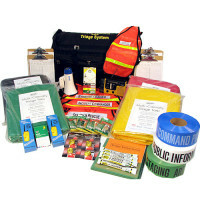 Hazardous Materials Personnel (HZ): Individuals, who, on a full-time, part-time, or voluntary basis, identify, characterize, provide risk assessment, and mitigate/control the release of a hazardous substance or potentially hazardous substance. 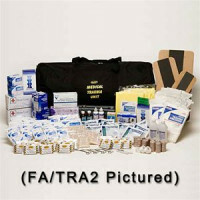 Healthcare (HC): Individuals who provide clinical, forensic, and administrative skills in hospitals, physician offices, clinics, and other facilities that offer medical care, including surveillance (passive and active), diagnosis, laboratory evaluation, treatment, mental health support, epidemiology investigation, and evidence collection, along with fatality management for humans and animals. Law Enforcement (LE): Individuals who, on a full-time, part-time, or voluntary basis, work for agencies at the local, municipal, and state levels with responsibilities as sworn law enforcement officers. 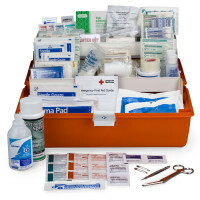 Public Health (PH): Individuals who prevent epidemics and the spread of disease, protect against environmental hazards, promote healthy behaviors, respond to disasters and assist in recovery, as well as assure the quality and accessibility of health services. 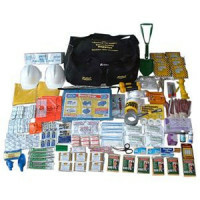 Public Safety Communications (PSC): Individuals who, on a full-time, part-time, or voluntary basis, through technology, serve as a conduit and put persons reporting an incident in touch with response personnel and emergency management, in order to identify an incident occurrence and help support the resolution of life-safety, criminal, environmental, and facilities problems associated with the event. Public Works (PW): Organizations and individuals who make up the public/private infrastructure for the construction and management of these roles at the Federal level. 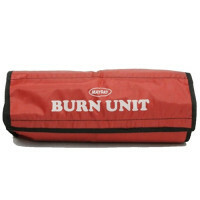 The categories/roles include administration, technical, supervision, and craft (basic and advanced). 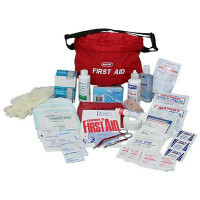 NTED also provides services to the private sector and the general public.